Thank you all for your helpful comments on my inerrancy posts so far. I returned home tonight without a drop of energy, so I’ll respond to all your thoughts tomorrow and publish my third post in this series on inerrancy. I may perhaps post it as a podcast, actually. 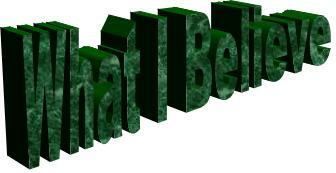 Once again, all of your comments are most welcome as I blog my way through this ‘hot potato’. The discussion has been continued, meanwhile, on a couple of other blogs: Here, over at reformedcatholicism.com, and here on Jason Goroncy’s blog. 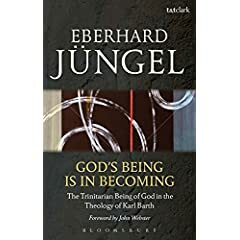 I’m glad to say that my copy of God’s Being is in Becoming, by Eberhard Jüngel, arrived in the post today (at least something has, eh Jim!). It is the updated Webster translation, and it will serve as a appetiser for the ‘main course’ that will hopefully be arriving in the post in the next few days – I’m dying to tell all exactly what this ‘main course’ is, but I’ll wait till it turns up first. Also (I forget where I found this link), here is a chance to have a listen to a decent interview with a certain Bart Ehrman on his recent Misquoting Jesus. Yes, do a postcast on inerrancy. That would be great. Hope your energy comes back tomorrow! Ah, God's Being Is in Becoming is one of the best things ever written about Barth's theology -- and it's also, more broadly, one of my favourite books about the doctrine of the Trinity. John Webster's introduction to this edition is also first-rate -- it makes reading the book just a little easier! Hi Rory, Hmm, maybe I'll do a podcast then. Hi Ben, I'm still waiting for 'you know what' to arrive. Apparently there was a hold up in America, and it may turn up tomorrow, though perhaps another week or two! AAAaarrrrgghhhh!